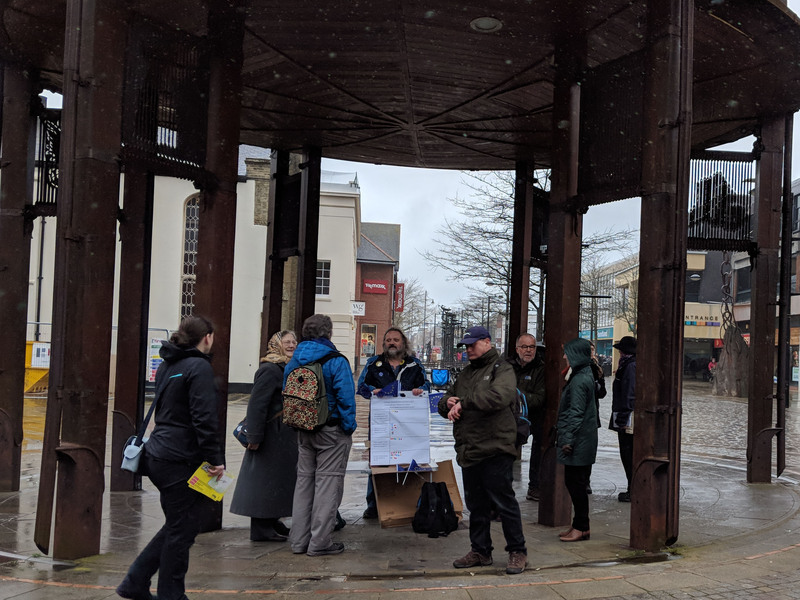 On a wet and very windy Saturday, Fareham Lib Dems joined with campaigners from all parties to ask Fareham shoppers their views on what should happen next in the Brexit Process. 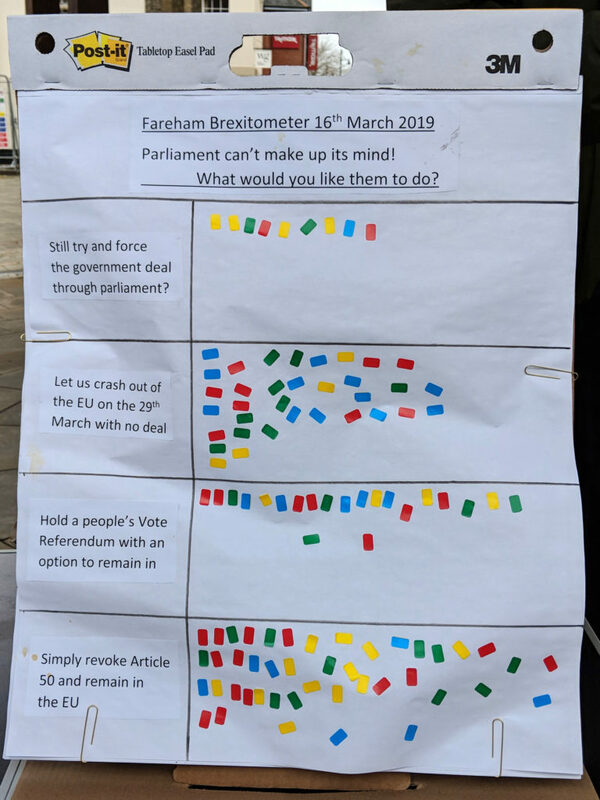 A majority of the people approached said they were fed up of Brexit. People from both sides were not impressed by the Government’s handling of the process and people who voted leave could not understand why we have not left yet. Of course, if we leave by May’s deal or without a deal we will be stuck in high stakes negotiations with the US, EU and other countries for years to come. Choosing to remain is the only option which will let us return to normality and focus on solving the serious issues the country faces: the NHS, Education, Poverty and Policing.